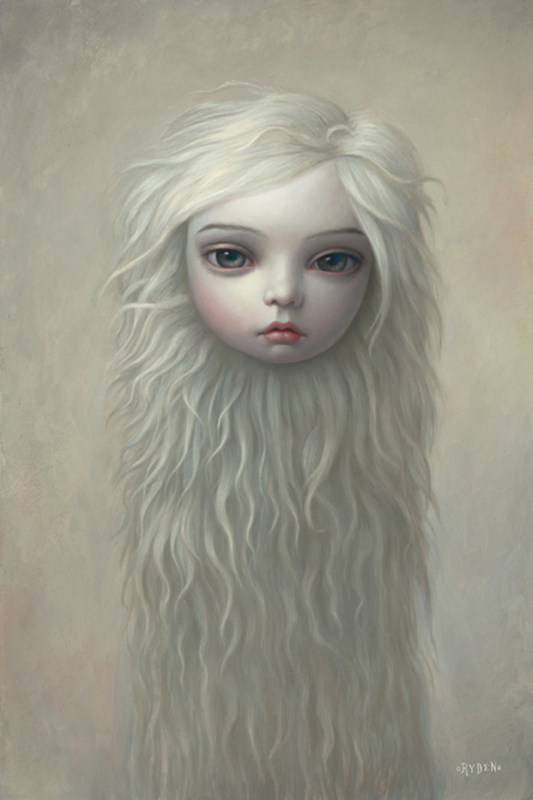 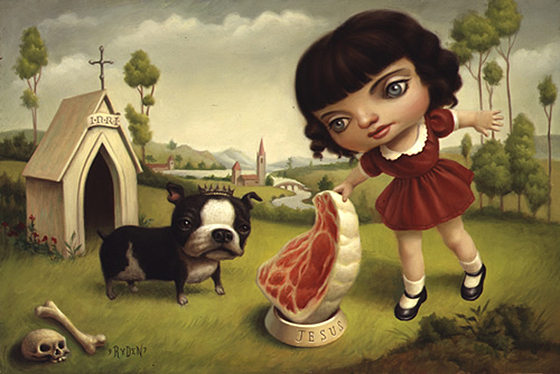 So in honor of Christmas I thought I’d share the holiday themed work of one of my favorite illustrators, Mark Ryden. 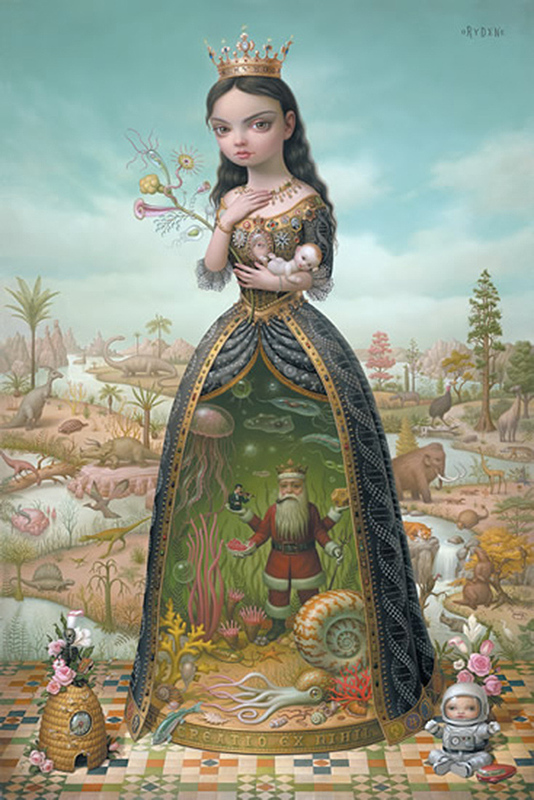 I’ll keep it brief since we all have gifts to wrap, popcorn to string, and in-laws to entertain. 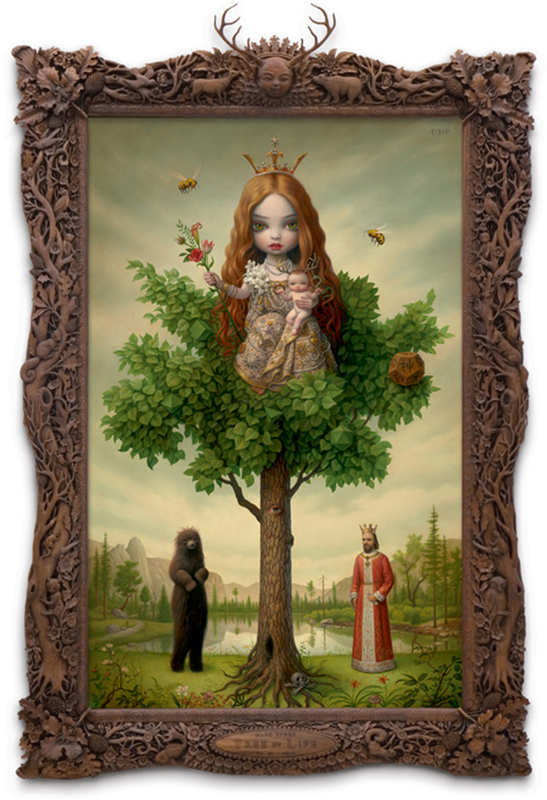 Ryden’s choice of subject matter is incredibly diverse, but his unique style remains consistent and many credit him as being the “god-father of pop surrealism.” Objects and important figures feature prominently in his work, but myths and religions that evoke mystery and nostalgia serve to orient the viewer within the story of his illustrations. 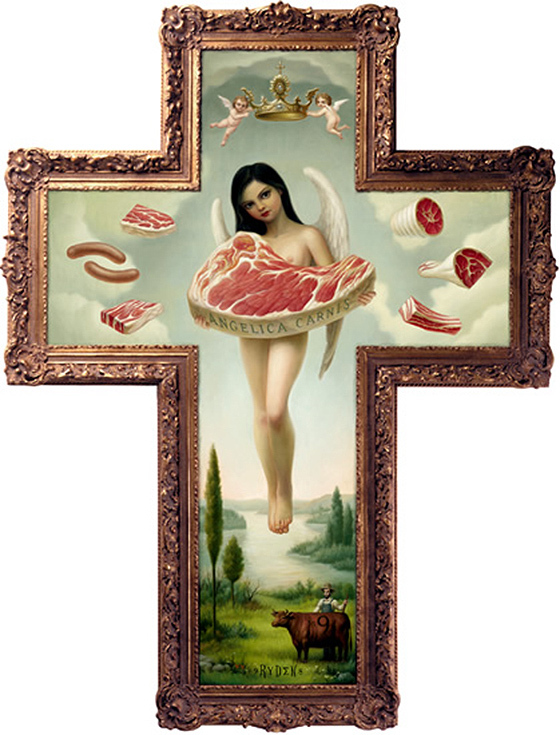 So it is not surprising that Ryden creates his own darker parodies combining Christmas characters and pagan traditions as well as objects of greed and lust. 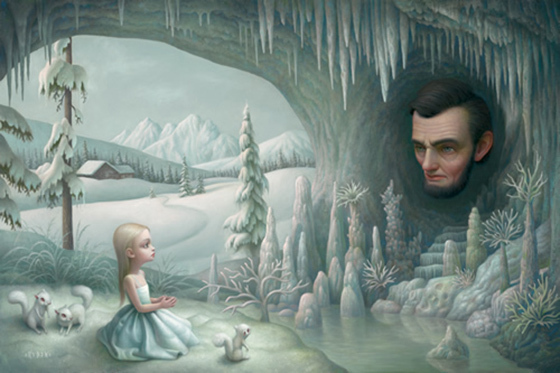 To get you into the holiday spirit, I’ve gathered some of my favies from his more wintry works, chock full of creepy-cute arctic animals, religious ephemera, scuba Santa, and even an and some chick with a beard.